The proposed amendment to the city's zoning to set use-specific standards for blood plasma collection centers was back up for a recommendation from the board. The actual authority to change zoning rests with the Common Council, but the process calls for the planning board to offer what's essentially a formal opinion. We wrote a whole long thing about this issue last month, and won't rehash everything. Here's the condensed version: The global market for therapies made from blood plasma -- essentially the liquid part of blood -- is booming. That's prompted a handful of large companies to open a bunch of plasma collection centers -- where people have plasma extracted in return for payment -- around the country. And here in New York State, a company called CSL Plasma is working to open a bunch of these facilities. 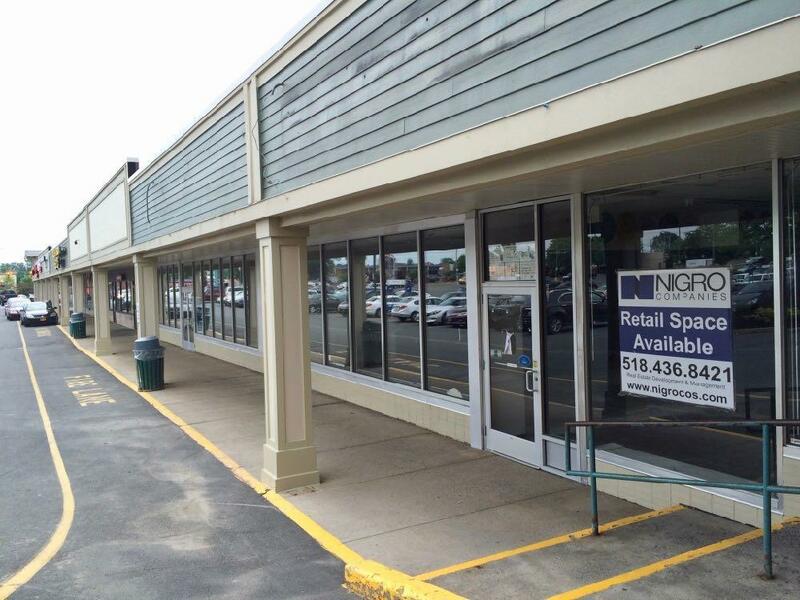 One of those potential locations: An empty space at the Hannaford Plaza on Central Ave in Albany. The city's zoning doesn't specifically cover these sorts of facilities, so the company went before the city's Board of Zoning Appeals last fall seeking some sort of ruling that would open the way for it. The BZA declined. In the time since, the city has been working to amend its zoning to include a use-specific standard for blood plasma centers. City planning staff has said the standards are intended to head off problems such as loitering and litter outside the facilities by requiring waiting rooms of a minimum size. And the standards also call for a 250-foot distance between the facilities and residential areas, schools, and churches. That buffer has been a point of contention among skeptics of these facilities, primarily Common Council member Michael O'Brien and residents of the neighborhood near the Hannaford Plaza. That opposition prompted the planning board to delay issuing an opinion in order to gather more info. 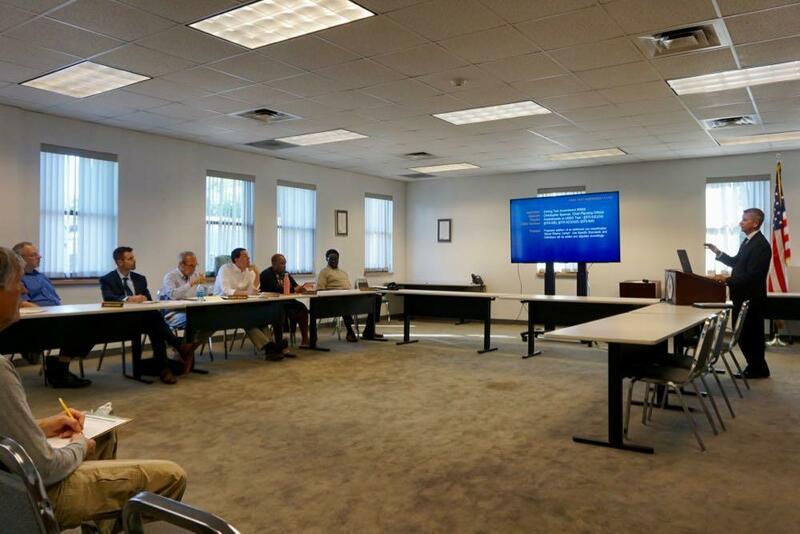 At Thursday's meeting planning and development commissioner Chris Spencer presented some of that additional research, including some Q&A responses from the director of the clinical lab evaluation program at the state's Wadsorth Center, which oversees these sorts of facilities in New York State. Spencer said the planning department reviewed the zoning for other municipalities in the state that currently host similar facilities, and none of them have use-specific standards for the facilities nor do they require a setback from residential areas. 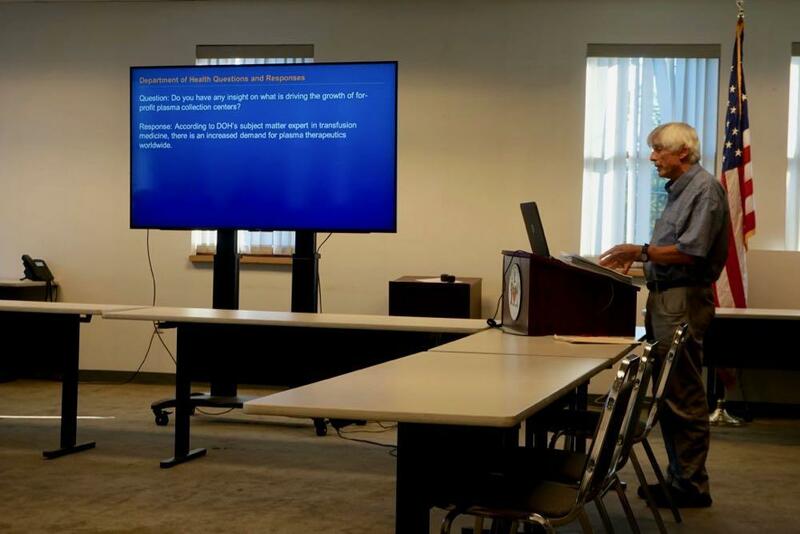 "I think the 250 f eet that we're recommending is more than sufficient" when combined with the other use-specific standards and and the Department of Health's oversight, Spencer told the board. During discussion with the board, chair Al DeSalvo also presented some research about centers in other state done by the planning board itself. Board member Glinessa Gaillard pointed out that Saginaw, Michigan had instituted a requirement that blood plasma centers be located 2,000 feet away from other plasma centers, which would help avoid concentration of them in one area, and she said that might be something to consider here. The public comment period again featured residents from the upper Washington Ave and Melrose neighborhoods who are opposed to a plasma collection center at the Hannaford Plaza and criticized the 250-foot buffer as not large enough. They presented stories of problems at or near plasma centers in other cities, including crime and loitering. And council member Michael O'Brien, whose ward includes the plaza, again renewed his passionate criticism of the standards and the buffer. He said multiple other municipalities around the country require buffer zones for plasma centers and 250 feet was not enough. "We should have a lot more documentation rather than misleading anecdotal stories," O'Brien told the board. + A recommendation of a 500-foot setback from residential areas, instead of the 250 feet proposed. + A recommendation for the inclusion of a 2,000-foot distance between plasma centers. As noted before, this was basically a formal opinion. 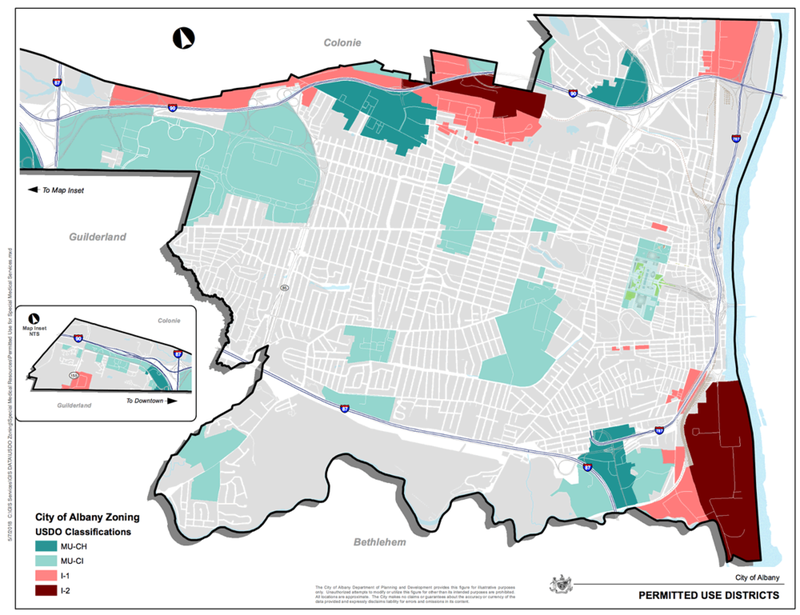 The actual ability to change the zoning is in the hands of the Common Council, and the ultimate decision rests there. The new standards for methadone clinics include provisions such as restriction on being sited "in locations where its busiest hours of operation would cause significant traffic congestion on any public street at peak traffic hours," a 500-square-foot minimum waiting lounge, and limits on the number of monthly visits. It also would require a 1,000 foot setback from residential areas, churches, and schools. The new methadone clinic standards didn't prompt much discussion from the planning board when it reviewed them in May and issued a positive recommendation to the Common Council. And the council has since taken up the amendment for consideration. But there's now potentially a key change to the amendment, and it has implications for that Central Ave clinic. Spencer said the city is now considering a one-year phase out for non-conforming properties in the methadone clinic standards, a topic that was discussed in a recent Common Council committee. That 1,000-foot setback could potentially be an issue for the Central Ave clinic because it's near churches and schools. And during his public comment about the blood plasma center amendment, council member Alfredo Balarin said he had already spoken to the clinic about the potential implications of the amendment. So that's an issue to keep an eye on. Castle Island Bilingual Montessori's proposal to occupy a former Sunday school annex at the former St. John's Evangelical Lutheran Church on the parcel at 160 Central Ave was back up before the board for the a second time. Common Council member Alfredo Balarin was the only person to speak during the public comment period. He said the area struggles with parking, and he was appreciative that the parking authority had been able to work with the school. Balarin said he supported the project, but also urged the school to use its designated parking and be respectful of neighbors. The board voted in favor of the conditional use permit for the school 4-0. A rendering of the proposed logo mural. 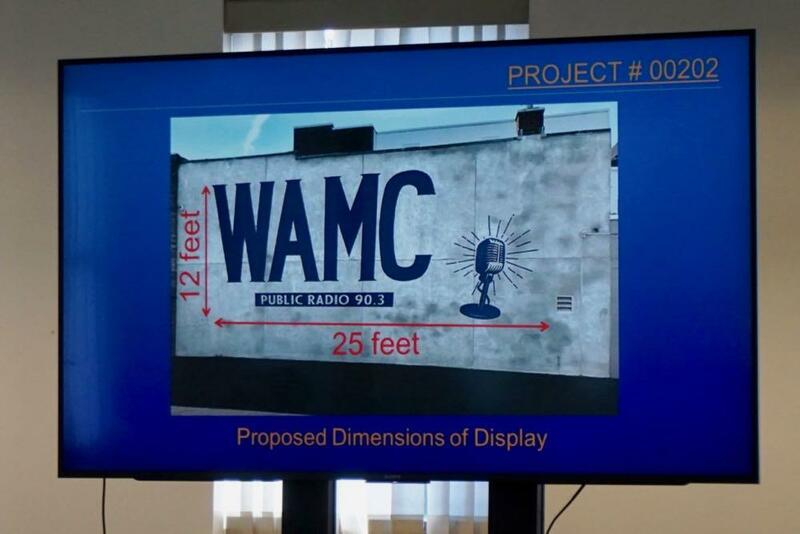 A proposal from WAMC Northeast Public radio to paint a large logo mural on its annex building at 302 Central Ave was up before the board for the first time. Woody Woodworth, representing the project, showed a rendering of the proposed logo. He said the station was working to improve the appearance of its buildings. Chair Al DeSalvo was a bit skeptical of the logo size. "What you have there now [with the proposed design] is so out of scale with the building," he said. "It kind of overwhelms the whole space." DeSalvo suggested an adjustment to the size at the discretion of the planning staff. And the planning board approved the wall display with that contingency, 4-0. By the way: The oversight of this display fell to the planning board because of a quirk in the city code. If the city had an arts commission, it would be responsible such a review -- but it does not. So it was the planning board's responsibility.